Think there’s only one way to break in? You won’t after watching this interview with Aaron Ginsburg! He could win a prize for the most outrageous way of breaking in. Aaron Ginsburg (now on The CW’s THE 100) is a writer/producer who has worked in television, film and video games for over a decade. Along with his longtime writing partner, Wade McIntyre, he was recently a Co-Producer on NBC’s DO NO HARM, he wrote the next installment in the popular family comedy HOME ALONE franchise (HOME ALONE: THE HOLIDAY HEIST), and he is currently co-writing a new comic for SKYBOUND (The Walking Dead) entitled CLONE. Ginsburg & McIntyre have also written for FOX’s quirky comedies THE FINDER and THE GOOD GUYS, and Ginsburg spent three months in Bogotá, Colombia producing USA Network’s BURN NOTICE prequel feature, THE FALL OF SAM AXE. Their comedy short, A NINJA PAID HALF MY RENT, was an official selection at the Sundance Film Festival several years ago and where it went on to be featured at dozens of other festivals (including HBO Aspen Comedy Arts Festival, SXSW and the LA Film Festival). Ginsburg & McIntyre sold the 1/2 hour single-camera comedy CROWDED APARTMENT to SPIKE TV, and wrote the dark indie thriller INSIGHT (starring Justified’s Natalie Zea, Chuck’s Adam Baldwin, and Christopher Lloyd) which was released in over 40 theaters and is currently streaming on Netflix. In the gaming world, Ginsburg & McIntyre wrote the script for Activsion’s mega-hit videogame, CALL OF DUTY 2: BIG RED ONE which won the prestigious award for Outstanding Achievement in Story and Character Development from the Academy of Interactive Arts and Sciences. For the past 7+ years, Ginsburg has directed LA’s hit stage show, THE THRILLING ADVENTURE HOUR at Largo at the Coronet. Are you a sci fi fan? Then you are certain to love this week’s interview with Mark Verheiden, EP of Hemlock Grove on Netflix! Mark is a veteran of sci fi in several forms: TV, features, and comics. Mark Verheiden is an executive producer of the Netflix original series “Hemlock Grove.” His previous television work includes writing and producing the Peabody Award winning “Battlestar Galactica,” as well as “Falling Skies,” “Heroes” and “Smallville,” among others. Verheiden grew up in Portland, Oregon, where he was an active member of the comic book fan community while studying film. He is a lifelong science fiction fan, which has served him well in his twenty-five year career in film, television and comics. This week we meet Scott Manville… an entrepreneur who used his experience as the former Head of TV Development for Merv Griffin Entertainment, to create the unique Television Writers Vault, a resource that connects writers with top producers and network executives. With 15 years of professional experience in TV program development, Scott Manville is the Founder and President of the Television Writers Vault (tvwritersvault.com), an online marketplace used by top producers and network executives sourcing new show concepts and stories for TV. As the former Head of TV Development for Merv Griffin Entertainment, his hands-on experience within that development and pitching process inspired this groundbreaking service for the protection and promotion of new concepts and formats being pitched to Industry buyers. Back in his days of development, Scott worked on writing pitches and formats that were produced as “Click” (game show, which was Ryan Seacrest’s first TV hosting gig), “Men Are From Mars,” “Good Samaritan,” and other in-house projects for Griffin. 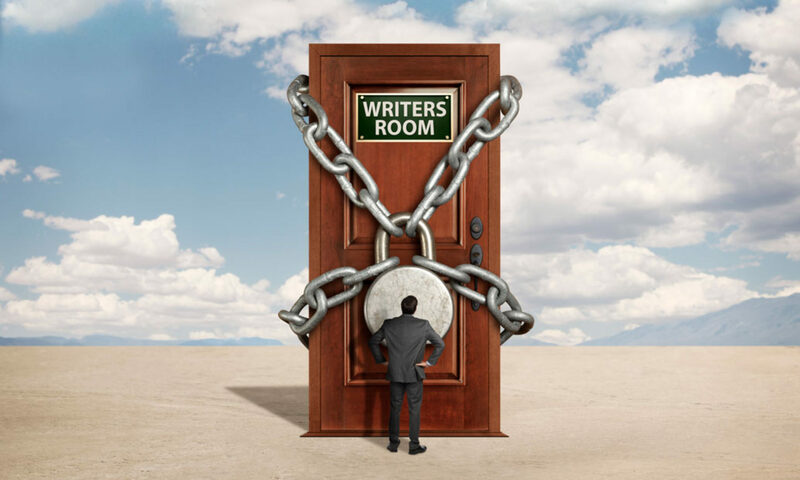 The Television Writers Vault is the first industry website to bring new TV show “ideas” from everyday people outside the industry, to production and global broadcast on major networks, such as A&E, Discovery Channel, SyFy, OLN, and other international outlets. Scott is also a professional pitch writer, offering services for writers and creators developing reality-based concepts for television. Scott also created www.creatorsvault.com and www.castmyreality.com… Check them out! For more info and great resources, visit www.tvwritersvault.com and www.scottmanville.com.